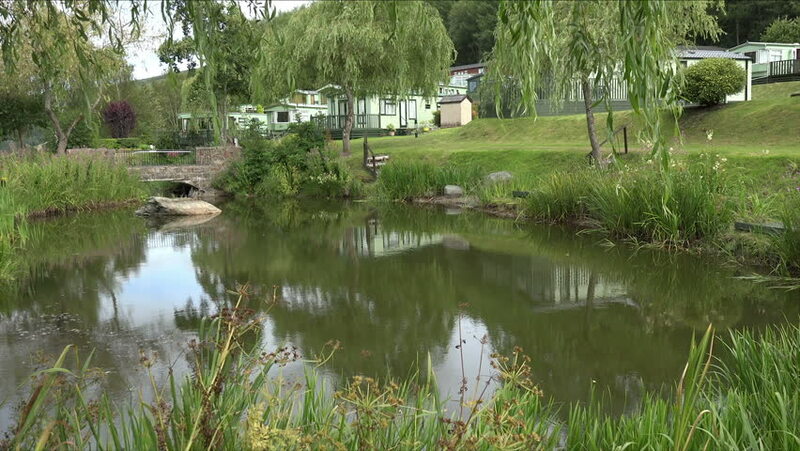 BALA, GWYNEDD/UK - MAY 14, 2014: Mobile home holiday caravan park with pond in Wales. There are about 3,500 mobile homes located at 92 residential park sites across Wales. 4k00:06Historical place, Middleton Hall, Garden, England - June 16, 2018. View of beautiful old pond overgrown with grass and lily pads. hd00:32Beginning of Pedja river near Simuna wellspring, Estonia. hd00:18Close up of small waterfall on the stream with bridge in the background. The film was shot in late May in sunny day. hd00:17River flooding village after big rainstorm,dirty water flowing through the houses,yard and fields,muddy water flooded road,cloudy sky,Videos for natural disasters,thunderstorm,hurricane,rainfall. hd00:29In this video, we can see a holiday resort in the mountains. There is a lake in the middle of the video and a private hotel next to the lake. Wide-angle shot.